When I was working at Backbone, our creative director wanted everyone to present different ideas and concepts. Things that would push our game design knowledge while improving our public speaking. While going through some archives, I came across a presentation I had done. There are slides and the accompanying speech. I think the concepts still apply today. From the end of the speech. Make sure you have designed your game for all levels of engagement. If you skew to heavily in one area, you will find your game is more niche than desired. Keeping all levels of engagement in mind ensures you have a product that caters to a wider audience. This should be a goal for all designers. Keep your concepts simple, your controls tight and easy to use, and make it easy for player to find and share a deeper knowledge of the game. In the recent times, there has been a lot of discussion around diversity, technology, and game development. Critics discuss the scarcity of women, people of color, and many others who are seldom represented among the creators in this great industry of ours. Rarely do we discuss those who are actually working in the industry. We are unseen. We are unknown. I wanted to create a website that will change that. We do exist. We should be celebrated. 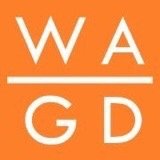 Thus the creation of website www.wearegamedevs.com. I’ve been working hard over the past two months to bring the site to life. I’m extremely happy to launch today so that you and the others can enjoy the featured people within. I’ve learned a lot and I hope to continue to bring the journey and experiences of these wonderful people to many others. Leading design when you are not the lead designer. 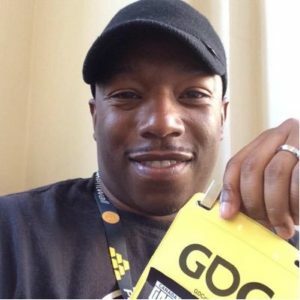 I had the pleasure of speaking at the Game Design Conference in San Francisco last week. It was my first talk I’ve given as a professional designer. I’ve been asked for copies of my slides. I’m providing the slides and the notes here. I hope those you choose to review them find them helpful. How to lead design when you’re not the lead designer. 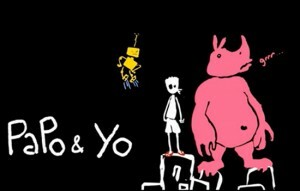 Since its announcement in spring of 2011, I’ve been excited to experience Papo & Yo. Just from the initial teaser trailer it seemed like something whimsical and unique. It wasn’t until closer to its release that I became aware of the dark life experience that fueled its inception. The trauma of Vander Caballero, the project’s creative director, seemed inspire a new idea in the sea of game sequels drowning the industry. How can one take their childhood trial of their alcoholic father and gamify the experience? I downloaded the title with hopes of deconstructing the creative process. 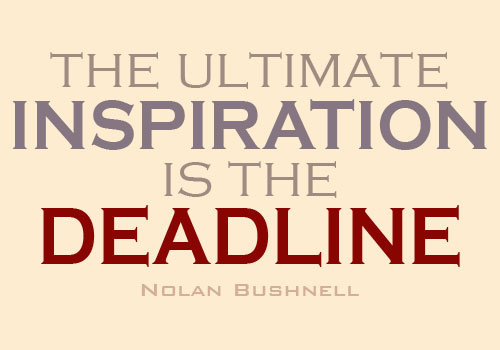 Hopefully, I would be able to take away one bit of inspiration or insight I could apply to my own creative methods. The game is easy to look at. It doesn’t take place in the future with ray guns and plasma rifles nor does it take place in the forest where dark elves and kobolds roam. It seems to take place in present day, but a mystical alternate interpretation of favelas, South American shanty towns. Chalk drawings of gears, handles, windup keys, and ropes provide the central interactions around the world, each peeling away the realistic façade to reveal the blank paper like world beneath. The composition of the real and the whimsical solidifies the feeling of seeing the world through a child’s vantage point. The music only served to solidify the playful nature of the game, while flavoring the world with additional South American flavor. Executed well, the beats did not overpower the experience but only served to accent the mood presented by the game. Monster had a unique look to him that seemed to border on cuddly and dangerous. I can assume this is intentional seeing how Monster’s look has transformed from the initial teaser video to the final product. This much was inferred by Caballero in an interview. It was interesting to feel the caretaker relationship between both Quico and Monster. They seemed to need each other although it was obvious the brunt of the tension is grounded in the nature of Monster. Some of the level design was particularly memorable. Stacking houses one by one until they towered in sky was extremely empowering. There was much glee in my heart twisting and tilting the tower to reach previously unattainable areas. With so much that I liked, there were elements that kept me from truly feeling engaged by game. You start off the game with very little context. While this may have been intentional, I found it disorienting and off-putting. There was no initial purpose to any of my actions other than puzzle solving busy work. The main story thread seemed widely spread out through the game. If it were condensed I would have felt a bit more connected to the overall purpose and objectives of the characters. The navigation of Quico, the main character, seemed too responsive which made him hard to control or snappy in movement. In contrast, Quico’s jump action had a slight delay. The animators probably wanted a bit of anticipation in the jump, but it just made the character feel sluggish when jumping. This is a no-no in platform games. 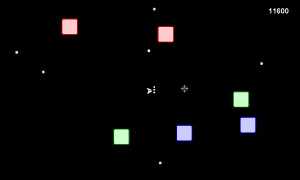 Later in the game there were some puzzles that utilized the design “rule of 3”. Pull this lever to drop a box. Now, do that twice more but with more complicated jumps, and avoiding a raging Monster. In certain cases this felt forced and served to drag out the experience even more. As a designer, I believe if one is to tell such an emotional tale with such a short arc, the game should shoot for the length of a movie. An hour and a half should be sufficient enough to get people on the hook, but not feel as if the experience is dragged out. While some of the puzzles of the game were clever and fun, others felt like busy work when I really wanted to experience more of the tale being told. Condensing the experience would go a long way to connecting the player to the narrative. To be fair, I’ve played this game after playing Journey. Journey does an exceptional job of keeping the player engaged throughout the entire experience. By contrasting the two you can see how Papo & Yo can be improved. Most of that is because just controlling the character is a unifying experience for the player. There is no moment where you feel disconnected from the character and the story elements are presented throughout the experience. Overall, the game did a good job of presenting a brief and deliberate window into the auteur’s life. It was palatable and not overly preachy. I think it shows one can deal with subject matter other than saving the world from an alien invasion. Such serious topics can be expressed through games and can use different perspectives, such as a young boy, to tell a story. If more developers can take personal tales and express them through interactive entertainment, the game industry will take giant steps toward widening market beyond the typical gamer. 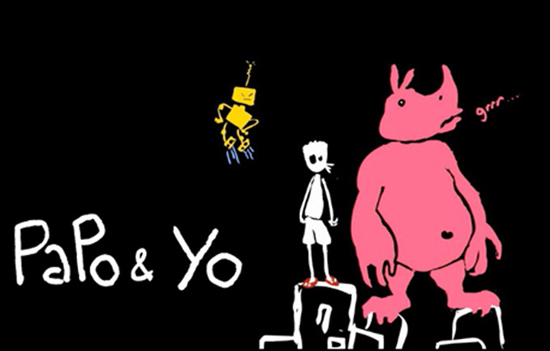 Papo & Yo shows the mainstream that not every game has to be some young boy’s escapist power fantasy. Here is my entry for the August 2011 Experimental Gameplay Project who subject was Offspring. I have called this entry Survival of the Fittest. 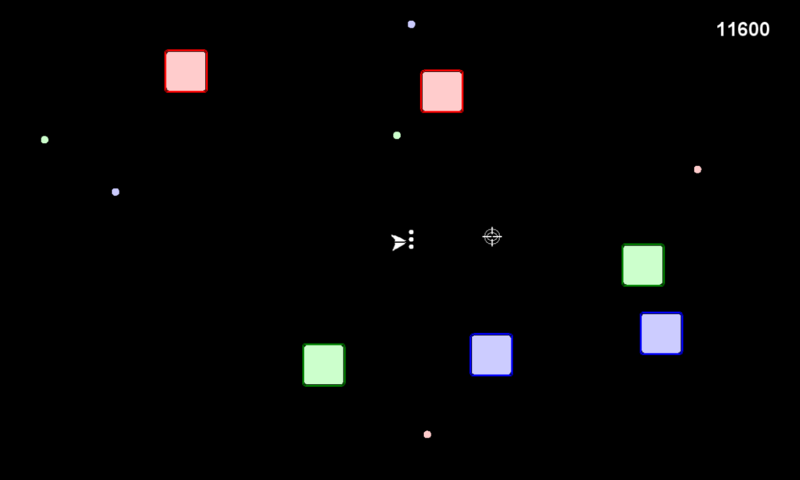 In this game, the player must shoot square parent objects. When a parent is destroyed, it spawns for children. Those children then seek out other parents. If they reach the parent, they add their attributes to the parent, making it stronger and more dangerous. Blue – Increased strength. Can with stand more shots from the player. Green – Increased speed. Faster than the other types. Red – Attack ability. Fires shots at the player. The concept is based on an idea another designer shared with me. I put my own twist on it. All in all full development took about 28 hours of actual work put in over a week’s time. I’ve been wanting to post this for awhile. Below you will find several prototypes I created in GameMaker to prove out the ideas I wanted to see in the final version of 1942: Joint Strike. But first let me write a mini-postmortem about the prototype development. When I first got into game design, what constituted good game design was a much simpler concept. The back story and characters were a rough means to an end. In most cases it didn’t even matter. Just take the general gameplay and reskin it. This is best shown in the platform game boom of the 90’s. Mario spawned it all and proved that backstory didn’t need to be super strong to take players into a new land. You are a plumber… who needs to save a princess… and you jump on turtles. What sense does that make? The gameplay, oh the gameplay, made up for it in spades. At least the success of Mario made me believe that story wasn’t important. Gameplay must be king. Then as we moved forward, story became a bit more integrated into the gameplay. Sonic was a hedgehog granted with mystical shoes and the gift of speed. Mega Man was the only good free thinking robot left to stop the rogue robot apocalypse. Samus must stop the Metroid threat from overtaking the universe. These games gave credence to the idea that story could enhance solid gameplay. But still, my belief was amazing gameplay was paramount in making a major hit. Then there was a coherent meeting of both story and gameplay. Two games in my memory melded both: Flashback and Metal Gear Solid. Both amazing products that brought a new level of storytelling and how it can influence and motivate gameplay. All of a sudden level objectives matched the narrative of the story. That blew my mind. And in the case of Metal Gear Solid, the presentation rivaled movie experiences. A first for games. What is most interesting to me, and point of this post, are the recent trend of “art” games. The ones that jump to mind are Limbo, Shank, and Scott Pilgrim. All visually stunning games. However the gameplay of these games may be considered standard. Passable, but nothing spectacular. And yet, the press and anticipation for these games were high. 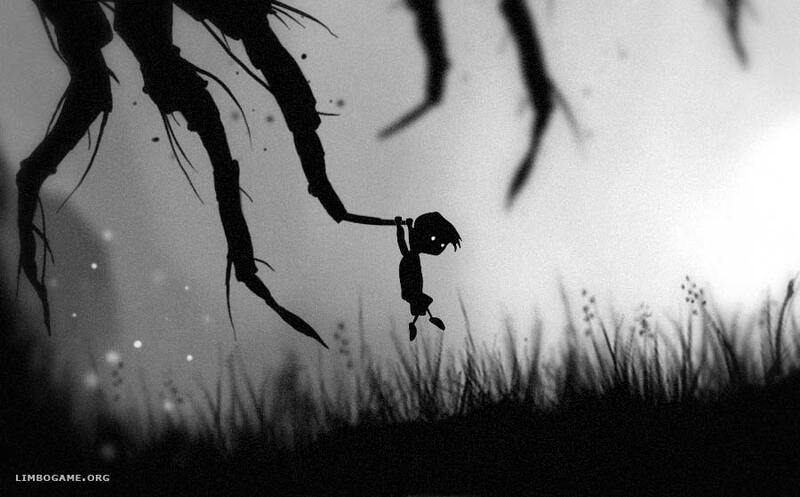 Ask yourself, would Limbo be a great game if it were not for the silhouette presentation? Would the gameplay by itself be entertaining? Could you replace the nondescript character with a fuzzy anthropomorphic critter and enjoy the game the same? Probably not. Theme is so important to the success of these games. Which then makes me look back at Mario. Would Mario still be successful if we changed the main character and all his antagonists? Probably not. The eclectic mix of architecture and characters is unique and special to the world of Mario. Any abstraction would diminish the charm and personality of the universe it has created. However the art games are heavily steeped in theme. And gameplay loosely supports the theme. Not that the gameplay isn’t good, but it isn’t groundbreaking. It is a means to selling the strong character and the world they live in. These most recent games just remind me the importance of presentation and belief in the world we present. We can’t just concentrate on solid gameplay any more. We must also think of how we present it to the player. It’s the difference between a short order cook and a gourmet chef. The former just places meat and potatoes on a plate. The latter finds a way to adorn the plate as if it was art. And as a game designer I need to learn how to plate our savory and sweet creations.